A guardian of the person shall be appointed if the court determines from clear and convincing evidence that an alleged disabled person “lacks sufficient understanding or capacity to make or communicate responsible decisions concerning his person, including provisions for health care, food, clothing, or shelter, because of any mental disability, disease, habitual drunkenness, or addiction to drugs, and that no less restrictive form of intervention is available which is consistent with the person’s welfare and safety.” The Petitioner has the burden to prove incapacity. Read the Law: Md. Code, Estates & Trusts, § 13-705(b). Usually, guardianship hearings are held before a trial court judge who decides the two issues. However, in guardian of the person cases, Maryland law provides that the disabled person is entitled to a trial by jury on the issue of whether a guardian is needed, i.e., whether the person is legally disabled. When a jury trial is held, it is conducted like a formal trial. All interested parties may participate in the trial, and the alleged disabled person has an absolute right to be present at a trial, present evidence, and cross-examine witnesses with the help of his or her court-appointed or personal legal counsel. The jury then determines, as a matter of fact, whether the alleged disabled person is disabled or not. The disabled person, or his or her attorney, may waive the right to a jury trial, in which case the judge would determine whether the disabled person is legally disabled. There are three main factual issues that a judge or jury must decide in determining whether an alleged disabled person is legally disabled, and in need of having a guardian of the person appointed. The first is whether the disabled person “lacks sufficient understanding or capacity to make or communicate responsible decisions concerning his or her person, including provisions for health care, food, clothing or shelter.” The mere diagnosis of a disability is not sufficient. Rather, there must be specific evidence of poor decision-making; for example, evidence that the alleged disabled person is leaving the stove on, forgetting to take medications, or taking other specific actions that are endangering his or her welfare or safety is necessary to satisfy this requirement. The second issue is whether that lack of capacity is due to a physical or mental disability or disease, habitual drunkenness, or addiction to drugs. The judge or jury will want to be sure that other factors have been examined and eliminated as sources of the alleged disabled person’s inability to make or communicate responsible decisions. For example, if depression or other treatable mental disorder is causing the problem, it may be appropriate for therapy or drugs to be used to address the concern of capacity. Perhaps there may be a drug problem, or drug interactions or inappropriate dosing of mediations involved. Or, there may be a vision, hearing, or speech impairment, or other language, family, social, cultural or religious barriers that are contributing to the perception of a disability, when no disability is actually involved. Finally, the court will need to determine that there is no less restrictive alternative that is available that can protect the welfare and safety of the alleged disabled person. Since a guardianship significantly restricts personal rights, it is important that there are no other alternatives available that may meet the needs of the alleged disabled person, other than a guardianship. An example of a less restrictive alternative would be a health care power of attorney. There is no right to a trial by jury in a case involving only the guardianship of property. In fact, if no response to the show cause order is filed, and the court is satisfied that the petitioner has complied with the legal filing requirements, the court may rule on the petition without a hearing. However, if the alleged disabled person or an interested person responds to the show cause order in a manner that creates a contested case, the court shall set the matter for trial. Read the Rule: Maryland Rule 10-304(a). At a trial seeking to have a guardian of the property appointed, the petitioner has the burden to prove to the judge by a preponderance of the evidence, that the alleged disabled person is (1) unable to manage his or her property and affairs effectively because of a physical or mental disability, disease, habitual drunkenness, addition to drugs, imprisonment, compulsory hospitalization, confinement, detention by a foreign power, or disappearance, and that the alleged disabled person has or may be entitled to property or benefits that require proper management. Read the Law: Md. Code, Estates & Trusts § 13-201(c). After the court has determined that the alleged disabled person is, in fact, disabled, the court must determine who would be the best person to serve as the guardian for the disabled person. Often, the disabled person may have previously nominated someone in the family or a friend to serve as guardian, or the family has come to agreement about who should serve. However, there are times when more than one person wants to serve as guardian. In those cases, each prospective guardian must present his or her case to the court in a public trial, and the court will then choose which person to serve. Maryland law establishes an order of priority of individuals who are eligible to serve as guardian of the person and guardian of the property. The first priority candidate is always a guardian, conservator or similar fiduciary appointed by a foreign jurisdiction. Next is someone designated by the disabled person before they became disabled. A competent person may nominate a person to serve as his or her guardian of the property in that person’s general power of attorney. Likewise, a competent person may nominate a person to serve as guardian of the person in that person’s health care power of attorney. Read the Law: Md. Code, Estates & Trusts §13-207 (property) and § 13-708 (person). Other persons eligible to serve as guardian, in order of priority, include the disabled person’s spouse, parents, adult children, heirs at law, or other individuals who have a particular interest in the person, such as the director of the local social services department or office on aging. If interested persons of equal priority are seeking guardianship, the court shall select the one best qualified of those willing to serve. 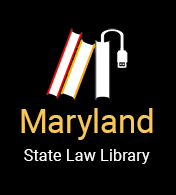 A court may only appoint a person with a lower priority over a person with a higher priority upon “good cause shown.” Unfortunately, case law in Maryland has not defined “good cause,” and this issue has been addressed only once by the Maryland Court of Appeals. In selecting the best qualified guardian, the best interests of the alleged disabled person is always the court’s overriding concern. The court is not concerned with “who got the bigger bike when they were young,” as is all too often the driving factor in contested guardianship matters, and will not litigate playground battles that occurred between the interested persons during their childhood. Read the Law: Md. Code, Estates & Trusts, §§ 13-207 (property) and 13-707 (person). Related Case: Mack v. Mack, 329 Md. 188, 618 A.2d 744 (1993) (wife’s desire to withdraw life sustaining treatment was not good cause to pass over her statutory priority and appoint patient's father as guardian). whether the interested person is willing to confer with the alleged disabled person and/or other family members regarding decisions. whether the interested person is a joint owner of any property with the alleged disabled person. At an uncontested guardianship hearing, or after trial in a contested matter, if the court has determined that a guardian of the person and/or property is needed, and has selected an appropriate guardian, the court will issue a written order appointing a guardian. The order shall state (1) whether the guardianship is of the property or person or both; (2) the name of the disabled person; (3) the name, address, and telephone number of the guardian; (4) the reason for the guardianship; (5) the amount of the guardian of the property’s bond, or that the bond is waived; (6) the date upon which any annual report of the guardian shall be filed; and, (7) the specific powers and duties of the guardian and any limitations on those powers or duties. Read the Rule: Maryland Rule 10-108. It is important to note that, in guardianship matters, a court assumes jurisdiction over a disabled person to protect that person who, because of illness or other disability, is unable to care for himself of herself. Therefore, in reality, the court is actually the guardian, and the court-appointed guardian merely serves as the agent for the court in carrying out the court’s responsibilities. The various rules and requirements of guardians should be read with this important point in mind. Related Case: Kircherer v. Kircherer, 285 Md. 114, 400 A.2d 1097 (1979).